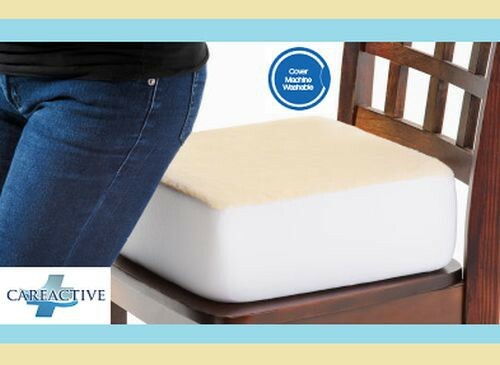 Rise With Ease Cushion by CareActive is a firm yet comfortable supportive foam cushion that is designed to provide a bit of an extra lift to help individuals rise more easily from a seated position. Made from durable polyester sherpa covering with ribbed polyurethane sides, this cushion offers an excellent comfort while helping to also relieve pressure on the lower back, spine, and buttocks. The Rise With Ease Cushion features a removable, washable cover for sanitary ease and convenience. 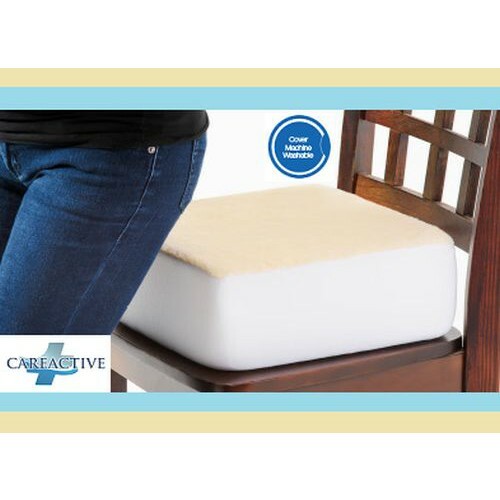 Made with the quality that CareActive has been known for since 1973, the Rise With Ease Cushion makes an excellent purchase for those needing a little extra support in life. Vitality Medical also carries other Seat Lift Assist Devices, such as the Upeasy Lift Assist. Cotton Knit Sides and Bottom For Breathability.